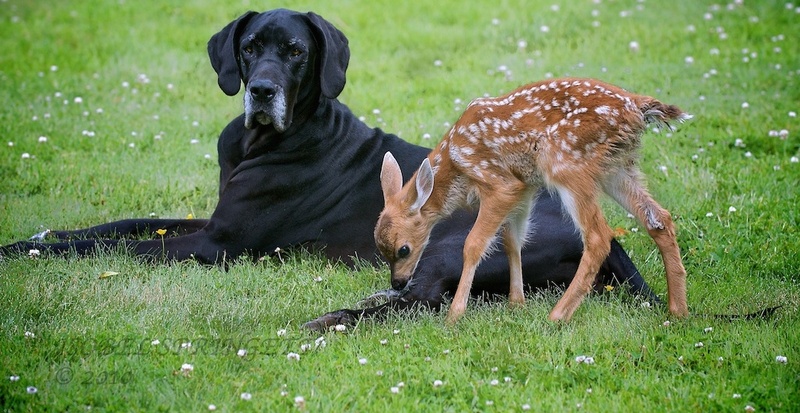 Pippin, a helpless baby fawn was abandoned by her mother on the property of Isobel Springett. 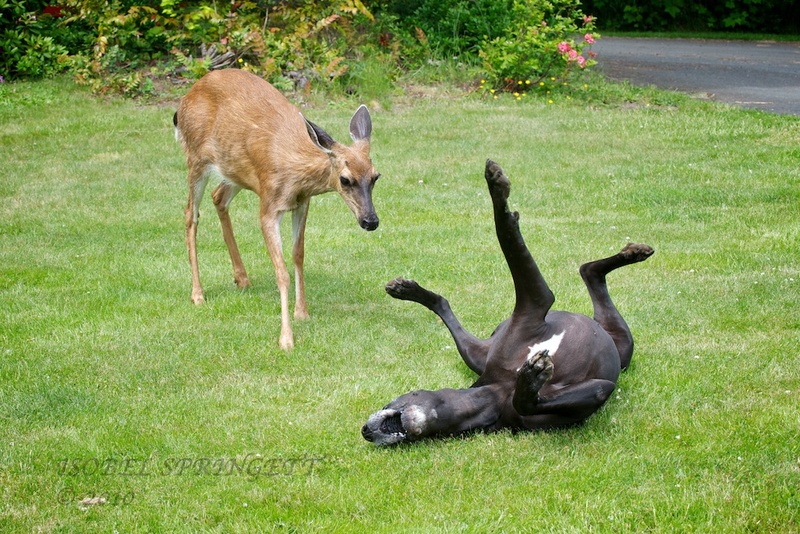 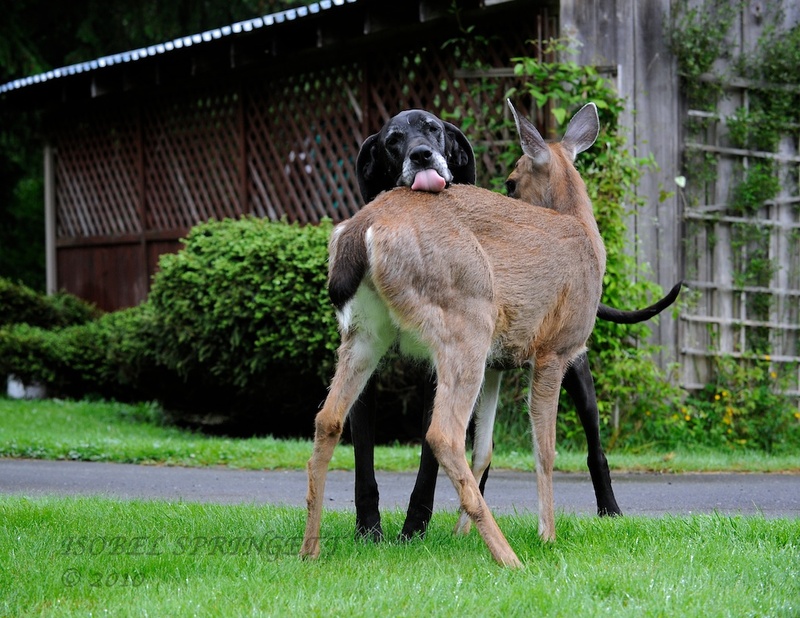 Isobel’s Great Dane, Kate, adopted Pippin immediately and they have been best friends ever since. 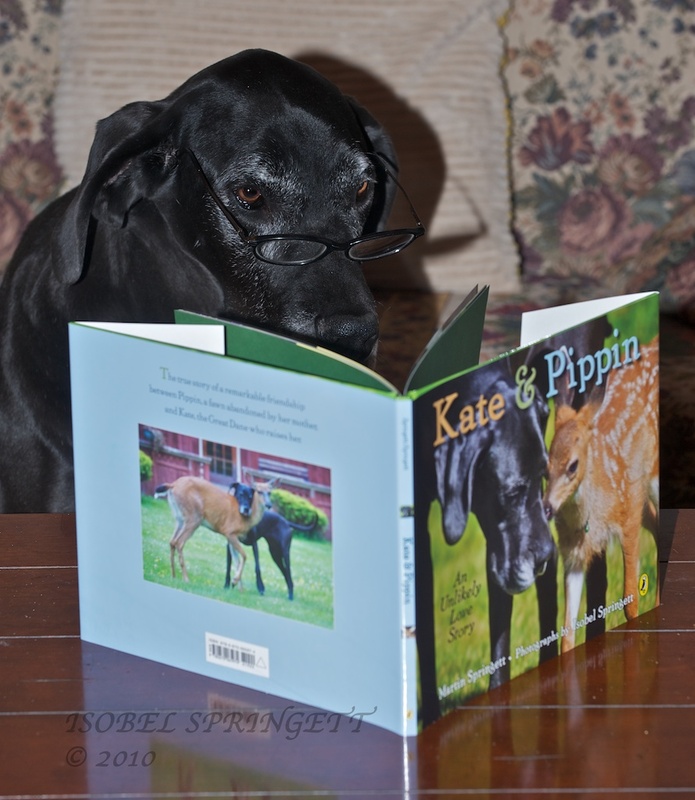 The story of Kate’s and Pippin’s loving relationship is charmingly chronicled in a handsome book featuring the beautiful photography of Isobel Springett.